NVIDIA® Tesla® V100 is the world’s most advanced data center GPU ever built to accelerate AI, HPC, and graphics. 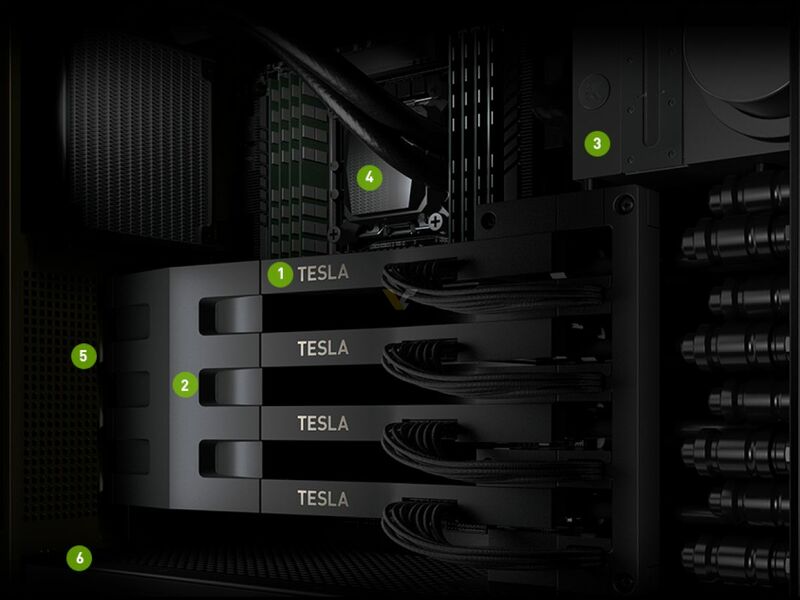 Powered by NVIDIA Volta™, the latest GPU architecture, Tesla V100 offers the performance of 100 CPUs in a single GPU—enabling data scientists, researchers, and engineers to tackle challenges that were once impossible. NVIDIA today launched Volta™ — the world’s most powerful GPU computing architecture, created to drive the next wave of advancement in artificial intelligence and high performance computing. 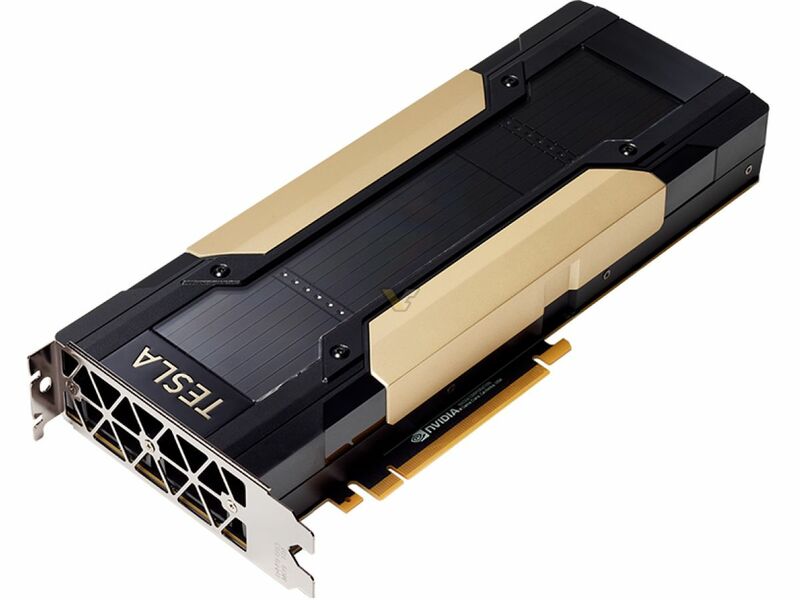 The company also announced its first Volta-based processor, the NVIDIA® Tesla® V100 data center GPU, which brings extraordinary speed and scalability for AI inferencing and training, as well as for accelerating HPC and graphics workloads. It provides a 5x improvement over Pascal™, the current-generation NVIDIA GPU architecture, in peak teraflops, and 15x over the Maxwell™ architecture, launched two years ago. This performance surpasses by 4x the improvements that Moore’s law would have predicted. Demand for accelerating AI has never been greater. Developers, data scientists and researchers increasingly rely on neural networks to power their next advances in fighting cancer, making transportation safer with self-driving vehicles, providing new intelligent customer experiences and more. Data centers need to deliver exponentially greater processing power as these networks become more complex. And they need to efficiently scale to support the rapid adoption of highly accurate AI-based services, such as natural language virtual assistants, and personalized search and recommendation systems. Volta will become the new standard for high performance computing. It offers a platform for HPC systems to excel at both computational science and data science for discovering insights. By pairing CUDA® cores and the new Volta Tensor Core within a unified architecture, a single server with Tesla V100 GPUs can replace hundreds of commodity CPUs for traditional HPC. Tensor Cores designed to speed AI workloads. Equipped with 640 Tensor Cores, V100 delivers 120 teraflops of deep learning performance, equivalent to the performance of 100 CPUs. New GPU architecture with over 21 billion transistors. It pairs CUDA cores and Tensor Cores within a unified architecture, providing the performance of an AI supercomputer in a single GPU. NVLink™ provides the next generation of high-speed interconnect linking GPUs, and GPUs to CPUs, with up to 2x the throughput of the prior generation NVLink. 900 GB/sec HBM2 DRAM, developed in collaboration with Samsung, achieves 50 percent more memory bandwidth than previous generation GPUs, essential to support the extraordinary computing throughput of Volta. Volta-optimized software, including CUDA, cuDNN and TensorRT™ software, which leading frameworks and applications can easily tap into to accelerate AI and research.